In recent years, Skype and Google Hangouts have developed exclusive features for online communication and focusing more on video calls. 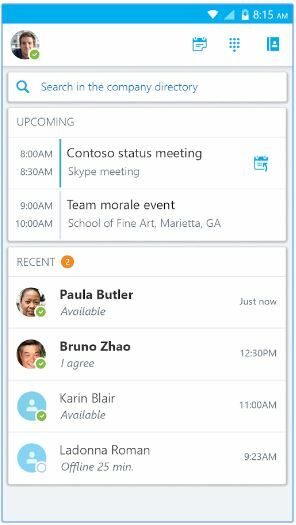 While Google has been promoting the Google Hangouts for both businesses and personal use, Skype has launched Skype for Business. In this context, let us make a one-on-one comparison and see how they stack up. Skype and Google Hangouts are similar in many ways and the basic idea of using them is to send text messages, make voice and video calls. Other than that, you can also have video conferencing with multiple people. You can simply login to your account and start a video call with anyone using the same platform. The chat logs can be accessed later making it easy for you to have business communication over the Internet. The quality of the voice and video calls do not differ much between them and both of them are equally good. It mostly depends on the Internet brand-width, not on the platform. When you compare the features of both Google Hangouts and Skype for Business, you will understand which one suits your need in a better way. The G Suite page of Hangouts shows “Video conferencing & Meetings for Business” as the title. The focus is clearly on promoting multi-participant communication and various features of the platform in a simple manner. This has the tagline “Collaborate with anyone on any device”. Notice that the emphasis here is on cross-device (from laptop, tablet, desktop to smartphone) business communication and team collaboration. Hangouts comes with G Suite, an office collaboration and productivity suite offered by Google. G Suite price starts from $5 per user per month. Free version on Hangouts can be used by creating a Google account. This starts from $2 per user per month and can be hosted on-premise or deployed on the cloud via Office 365. The free version of the app is available with Microsoft accounts. Hangouts lets you have conference call with 25 participants from your company and other companies. This can be really useful when you have mid-sized team and don’t expect large number of participants at any given time. Here you can have call with up to 250 participants irrespective of the organisation and the type of Skype account they have. It’d be ideal for very large companies who want to communicate with employees along with other stakeholders at the same time. If you are a visual freak, you will love to use this platform. It has lots of emojis and avatars. You can even use various chat bubbles in your messages. This sounds fun and most people love to use these features in personal communication. This lacks the entire fun element and very simple in terms of interface. Interface is consistent across all the apps for different platforms like PC and Mac machines and iOS, Android and Windows Phone operating systems. This uses a green circle to indicate that the contact is available online. You can also set your own custom status message. Even Skype has similar status indicators, but the only difference is that you have the option of choosing other types of status. You can set the status as Available, Busy, Away, Do not Disturb, In a Call and many others. All the conversation logs are stored in the Google servers. It is a cloud-only solution and this means that you have no option for deploying it on your server. All video and audio streams in Hangouts are encrypted and users can join securely even if they’re offsite. This can be deployed on-premise and you also have the options of using a cloud-based platform. Most companies that are have security concerns will find the on-premise server option to be more secure. 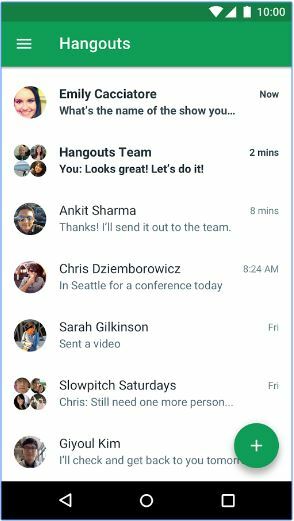 Hangouts users enjoy free calls to majority of U.S. numbers and receiving calls with Google Voice is free as well. Calls to U.S. numbers that aren’t free cost $0.01 per minute. International rates are also quite affordable. Unlimited calls in the U.S. to mobile and landline phones costs $6.99 per month. World unlimited plan has been priced at $13.99 per month that includes landlines from additional 63 destinations. It’s quite easy to share file (documents, presentations, images, etc.) 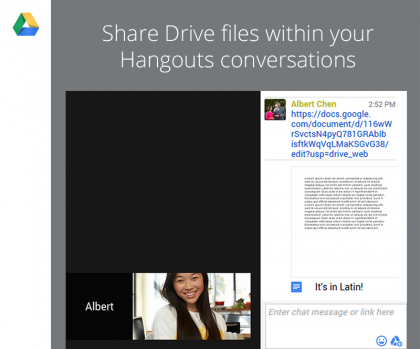 via Hangouts; it can directly store file on G Drive for real-time collaboration. Check out the image to get a glimpse of how it works. Various files like photos, documents, presentations, spreadsheets, etc. can be quickly shared via Skype during voice, video or group calls. There is also no restriction in terms of file type and size. Google has an edge over Skype with respect to integrations with the app suite including Google Docs, Slides, Presentations, Calendar and other Google services like YouTube. 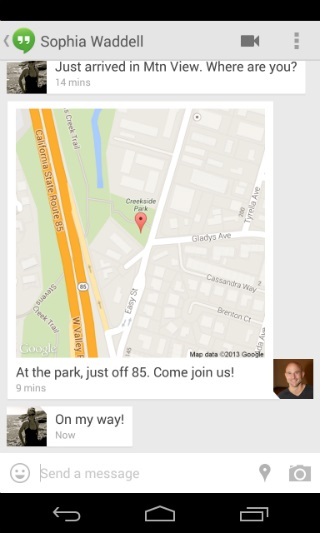 Google is revoking access to Hangouts API as they are focusing more on enterprise use cases. Although Microsoft boasts of large number of products in its portfolio, Skype does not have integration with most of them. For example, Office 365 users cannot share 365 documents via Skype. However Skype has near real-time translation services for voice and videos calls covering more than 40 languages. Both of them are quite useful and it depends on your requirements to choose the suitable platform for communication. Google Hangouts is the suitable option if you are running a small business with up to 50 employees. 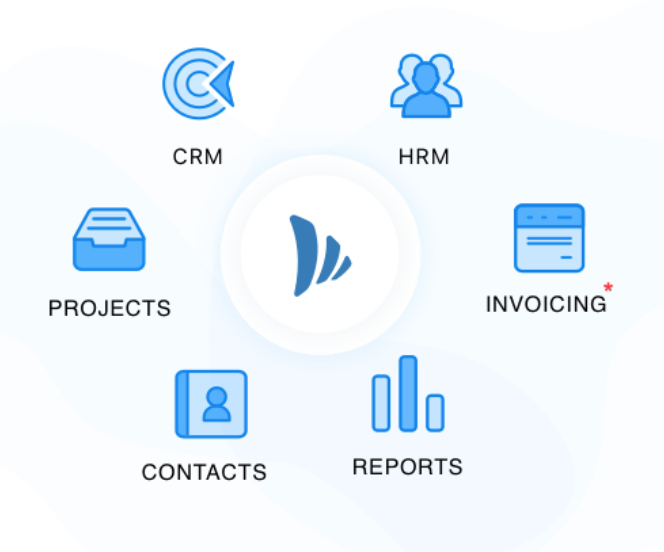 On the other hand, if you want to use the platform for a larger company with and looking for on-premise setup, then go for Skype for Business.